Hello fellow teachers. Know this week that you truly are appreciated. Even if you don't get anything from your students or parents (I never get anything this week of "teacher appreciation"), they appreciate all that you do, I promise! Plus, even if you don't get anything from parents, you can get a free entree from Chick-fil-A, BOGO free from Chipotle, and other goodies I'm sure. Please share if you are going to enjoy any freebie on Teacher Appreciation Day! The group of Special Education Teachers over at We Teach Sped have come up with a list of our favorite items for special education teachers...and we are giving them all away to one lucky winner. These items include Velcro (of course, remember #weteachsped), scissors that will change your life, and so many more fun things! Enter below!! And of course, there is the HUGE Teachers Pay Teachers sale going on this Tuesday and Wednesday, May 5 and 6. My entire store will be 20% off and you can get an EXTRA 10% off with the promo code: THANKYOU. Don't forget to enter that code when you check out! So now is the time to empty your wishlists and fill your carts! Will you be getting materials to help you finish out the year or maybe start preparing for next year already? 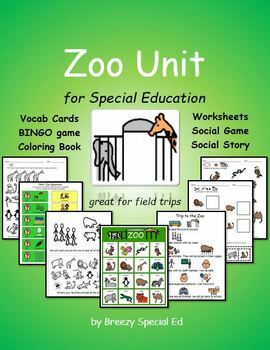 I love this Zoo Unit to prepare students for a field trip to the zoo, quite possibly my favorite trip of all time! These activities help students know what to expect on their trip to the zoo. 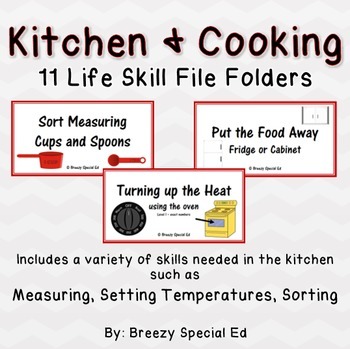 I recently just added this set of kitchen and cooking themed file folders into my store and my classroom and they are a hit already. Skills include: measuring, temperatures, and sorting types of food. 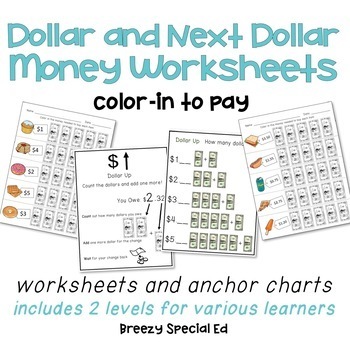 Using money is such an essential skill for our special learners and this dollar over color-in worksheet pack offers another way to practice using the dollar over method! Plus, my students enjoy the coloring in aspect of these worksheets. Looking for more money activities? Check out all of these money activities here! 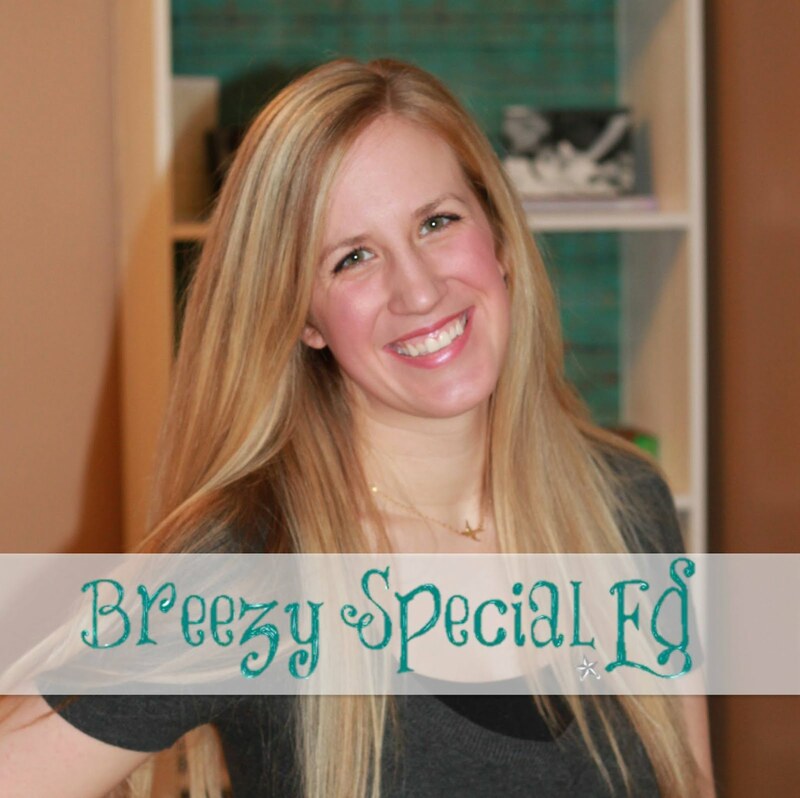 Don't forget to check out on Tuesday or Wednesday and use the promo code THANKYOU for 28% off all Breezy Special Ed products!